Hi, this is Jane Hall welcoming you to the Jazz Gallery. The different exhibits in this gallery are: listening and fee association; story telling; interpretation, beyond theory, loss & mourning; and goodbyes. Psychoanalysis and jazz have something in common: the magic and spontaneity of improvisational interaction. In jazz music something new is always created, often based on what happened before. In jazz ensembles, from duos to big bands, the musician is working off both his own and his partners’ internal rhythms, chords, colors, melodies, and moods. Players free associate to each other by relying on the spirit, camaraderie, love, energy (both libidinal and aggressive), openness, risk- taking, and braving the unknown. Mistakes, lapses, even trepidations are used to further the music. Have you ever noticed how musicians react to each other? That attention or even lack of it becomes part of the music. Barriers are crossed in jazz. Trust makes this possible. The analytic dyad makes its own unique music too. And the farther you travel on your journey the less you will rely on the notes and theories you have learned because they have been synthesized and internalized – freeing your energy in the service of the creative listening that will fill your days. Psychoanalytic work, like music requires listening. This gallery on jazz emphasizes listening as a way of connecting. Jim Hall is my late husband. I was his muse and he was mine. For 50 years we listened to each other. He read what I wrote, nurtured me and so he will always play a major role in my life. You might say that this gallery is inspired by and dedicated to him. As you listen to the music you will hear examples of texture, counterpoint, improvisation, syncopation, acoustic and amplified instruments, in solo, duo, trio, and larger groups playing jazz music . Visitors to these exhibits will be exposed to the ways musicians articulate feelings and how they move their audiences. Let’s begin with a well known jazz standard that illustrates connection. Jane S. Hall, LCSW, FIPA, is Past President of the Contemporary Freudian Society, a member of the IPA, APsaA, AAPCSW. 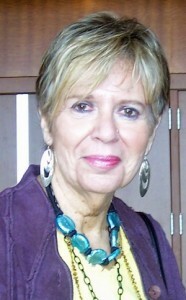 A Training and Supervising Analyst who has taught, lectured, and consulted on how to deepen psychoanalytic work for the past thirty years, Hall is the author of: Roadblocks on the Journey of Psychotherapy (2004) and Deepening the Treatment (1998), published by Jason Aronson; and other articles. She consults and supervises in person and via skype and telephone, and is on faculties of three NY institutes. Hall is in private practice in New York City. This is wonderful. A real treat. As a former dancer/dance therapist I had to contain myself while listening- (now, I dance mostly ‘in my mind’! Great to wake up to this on Father’s Day. I love and agree with your take on jazz, which goes for other music too, of course. But Jazz has so much improvisation it really does reflect how we all move through life expressing ourselves as we figure out what we feel–and want to express. And with jazz, or any music, as in life, when we do it, we connect. Hope you are great. Jane, thank you for initiating this wonderfully creative endeavor. I love the idea of analytic dyads making music together–sometimes syncopated and other times sharply discordant but all grist for the mill. Yes! I so agree that psychoanalysis has much in common with jazz. The rhythm section is like the analyst in that it provides the structure (frame) for the soloist (patient) to play (free associate) over. Many functions of the rhythm section’s “frame” are just like the analyst’s frame… the rhythm section holds the time, remains grounded in (or at least in reference to) the harmonic structure (akin to the analyst holding theory at the back of their mind), is emotionally receptive, mirrors the soloist and is present. I have often wondered if Bion’s famous advice for analysts to let go of memory and desire and “just be” when practising could be influenced by his growing up in India and being exposed to Indian classical music which has similar qualities to jazz … in that the performer has spent years learning the ragas (scales and rules of use) and talas (rhythmic pattern) but, when it comes to performing (and improvising), a master can “let go” of theory and rules, while embodying them, and play in the moment. They soar like Charlie Parker. I studied jazz for two years at my local conservatorium of music and think it better prepared me to be a psychotherapist than did my 6 years of training in psychology. One of my teachers, Mike Nock, used to yell in frustration at us “Nobody is listening! Just listen!”. Another teacher, Don Burrows, wisely advised me that “jazz is not a ‘what’, it is a ‘how'”.